You wanna know what the best part of living in Los Angeles is? It's proximity to a variety of eclectic cuisines and the opportunity to try out these cuisines through dineLA restaurant week. I lived in Arizona for three months this past summer and I can attest that the food there is pretty monotonic. Both Fogo de Chao and Spago were booked for the day so we ventured out to LA Market in LA Live. LA Market is a restaurant that is situated inside the JW Marriot hotel at LA Live, just down the street from where my boyfriend lives. 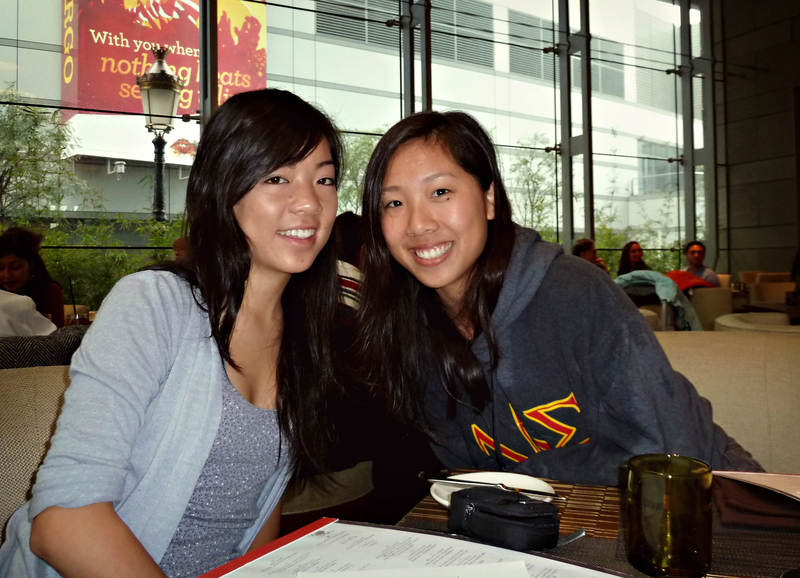 Linda and I at LA Market. It was pouring around noon and you can still visibly see how drenched I was (just look at my hoodie). Yes, we were extremely smart and decided to walk there in the pouring rain. Located on the first floor of the Marriot, the restaurant is comfortably roomy. The chairs are wide and plush and the ceiling extends to the third floor of the hotel. This restaurant would be more highly rated if the service here weren't so agonizing. It took more than 10 minutes for the waitress to come take our order. When I asked her if we could order our lunch now, she became very accusatory. Something along the lines of "I was here earlier to take your order but you guys were too busy taking pictures (so this whole holdup is entirely your fault)". Then it took another eon for our appetizers to arrive. We weren't even halfway through our appetizers when the waiters just shoved our entrées onto our table. Then another eon passed before we actually received our dessert. The food, on the other hand, was delicious. 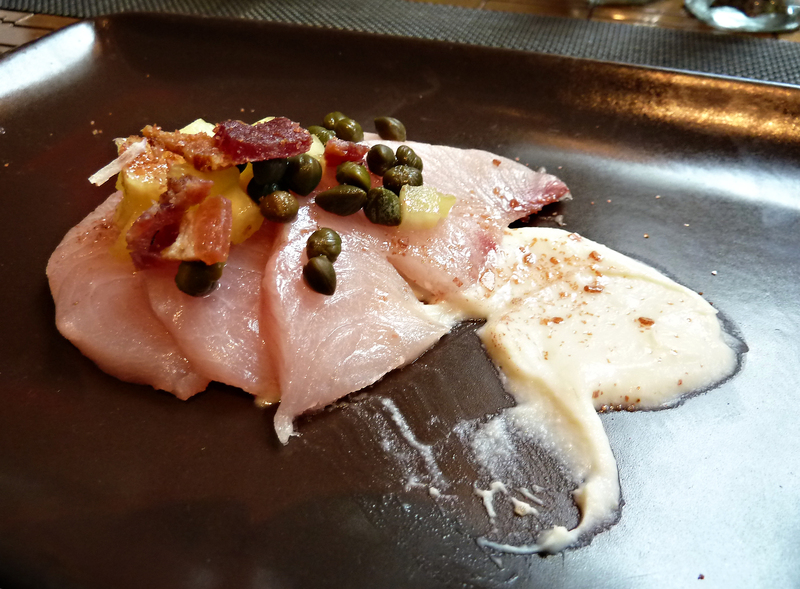 The hamachi was tender and I loved the capers on top. 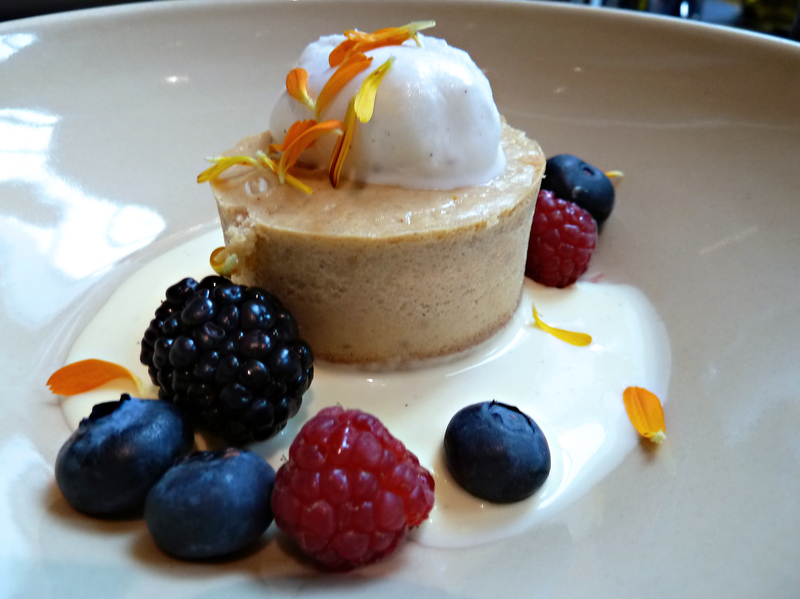 I still can't decide whether I liked the appetizer (Hamachi) or the dessert (pumpkin cheesecake) more. Both were simply top notch. 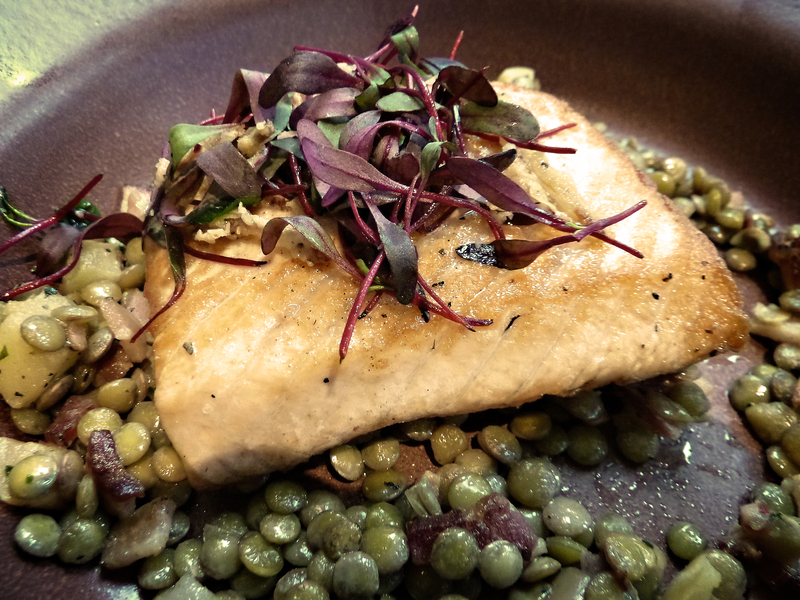 The grilled Scottish salmon fillet was decent. I loved crispiness on the outside and the tenderness on the inside. I wasn't a fan of the lentil salad though. It was a bit dry and course, like chewing on half-cooked beans. Cheesecake is possibly one of my favorite desserts and this pumpkin cheesecake was spectacular! The taste, the texture, the color vibrancy, and especially the flower petals they sprinkled on top won me over. The food was beautiful and succulent. If only the quality of service here could live up to the quality of food they put out. Hello! My name is Stephanie. 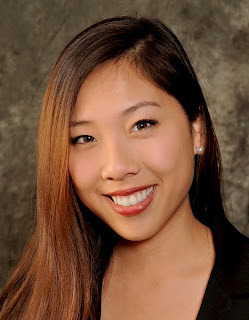 I'm a second year orthodontic resident wandering in the cosmopolitan city of Boston.